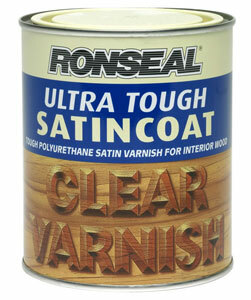 Varnishing a table is simple as long as you use the right varnish and follow the ‘Ronseal Principle’ i.e. Do exactly what it says on the tin. You will need a mask, varnish, brush, sandpaper, sealant and a little bit of patience. Depending on the finish you are looking for you can choose between a matt, … semi-gloss or full gloss finish. Clean the table thoroughly. If there are any holes or scrapes in the table, fill them in with putty. Leave to dry and then sand the areas to a smooth finish. Place the table at a height. This will make it easier to varnish the legs without doing your back in. (Place the table on another table to use as a work surface). Varnish the table in an open area that is well ventilated. The fumes can be pretty toxic (even if they”re not). Apply the varnish following the instructions on the tin carefully. Once the varnish dries, you can then apply a sealant. This will help to preserve the table and make it more durable. AIB chief Duffy insists rate increase is "regrettable" but "fair"
Is ammonia safe to use when cleaning? Hard or Soft Water: Does it make a difference? I have found some great kitchen stuff at car boot sales. Unused kitchen appliances still in their boxes for a tenth of the price you would pay in the shops. I think some people use them to have a clear out and get rid of any unwanted wedding gifts. You just need to get there early to find the real bargains. I too would be interested in getting a list of car boot sales. It’s difficult to keep up with when they are on. Some are weekly and others are once a month. A carboot calendar would be a great idea. I picked up an old antique table at a car boot sale recently for 25 euro. Not sure the seller knew what they were doing? I took it home, sanded it down, did a few repairs on it and varnished it. Looks as good as new but in an old-world kind of way. There are lots of bargains to be had at car boot sales. Does anyone know where I can find a list of car boot sales in the Dublin area? I know there are more and more car boot sales popping up these days but it’s usually word of mouth that you hear about them. It would be great if there was a website with a full list.